 This community based, participatory action research project was led by QCGN in collaboration with the Quebec English-Speaking Communities Research Network (QUESCREN) which is housed in the School of Extended Learning at Concordia University in Montreal. This project was funded by the Government of Quebec through the Soutien aux initiatives visant le respect des aînés (SIRA) program. This project laid the groundwork for what is now Seniors Action Quebec. Why a project on Quebec’s English-speaking seniors? While Quebec’s English-speaking seniors share many of the same needs and priorities as their French-speaking counterparts, as an official linguistic minority community (OLMC) they also have needs and priorities that are unique within the broader senior population. While there has been a great deal of research on Quebec’s demographic shift and its senior population, little – if any – attention has been paid to the specific needs and priorities of Quebec’s English-speaking seniors who are an official language minority community in Canada. One notable exception is the recent 2013 report entitled ‘Enjoying Your Senior Years in Your Own Language, Culture and Community’ by the Office of the Commissioner of Official Languages. As it stands, English-speaking seniors in Quebec have been aging without the benefit of policy and programs that acknowledge their particular situation as an official linguistic minority group. More than one quarter of Quebec’s English-speaking population is 55 years of age and older. The 2011 Canadian census figures indicate that there are 1,058,250 English-speaking people living in Quebec and 268,696 of them are 55 years or over. That’s a big number. Not only are they geographically dispersed, but there are significant differences among the age 55 and over population in terms of their size and demographic weight in their own communities. Here’s another way to think about it: as a group, the English-speaking senior population of Quebec is larger than the population of Prince Edward Island and spread across a large provincial territory three times the size of France. This project represents an important contribution not only to the growing field of research on aging in Canada, but more specifically towards building a province-wide body of research that focuses specifically on the needs and priorities of Quebec’s English-speaking seniors. 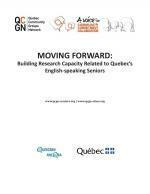 Using a Participatory Action Research (PAR) approach, the overarching objective of this project was to enhance the evidence-based and decision-making practices of the many groups and people that shaped the experiences of Quebec’s English-speaking seniors. This included community organizations, caregivers, service providers, researchers, policy makers and—most importantly—seniors. To do this, the project built the most up-to-date and detailed portrait of English-speaking seniors in Quebec. Our evidence base includes statistical data from the 2011 Canadian Census and the 2010 provincial CHSSN/CROP Survey of Community Vitality, as well as the findings from our own project survey which was carried out from August to December of 2013 in eight selected regions of Quebec. The evidence base we have compiled will help in the development of networks, policy and programming that is better targeted to the needs and priorities of English-speaking seniors as they seek to age-in-place in their home province of Quebec. A big part of our mandate was about building research capacity and fostering networking opportunities among seniors, researchers and community members to promote greater awareness and understanding of the situation facing Quebec’s English-speaking seniors. English-speaking seniors themselves had been involved at every step of the process – from identifying the research priorities, to helping develop the project design, to carrying out our survey and to disseminating the findings in their own communities. 1. Language barriers in communicating with, and accessing the information provided by public institutions and agencies. 2. Social support networks and living conditions in the communities in which English-speaking seniors reside. 3. Best practices and models for creating “an effective voice” for Quebec’s English-speaking seniors going into the future. President, James Colmer Consultation Inc. This research report by the Quebec Community Groups Network is the most up-to-date and detailed portrait of English-speaking seniors in Quebec. Funded by the Government of Quebec and supported by the Quebec English-Speaking Communities Research Network (QUESCREN) at Concordia University, it presents the data collected during a three-year participatory research project where seniors helped define the topics of concern and carry out the research and disseminate the findings.